We have different website options and packages available to suit your needs and budget. Our aim is to help small businesses achieve their goals online by providing quality web advisory, design and online strategy services and advice at an affordable price. We understand the importance of having a website that not only gets found by your customers, but more importantly speaks to your customers; customers who want and need your services and are ready to pay for it. We work with you to understand your business and then carefully plan and design an online strategy to ensure your website effectively attracts leads and converts them into customers. Once the design and implementation is taken care of, we educate you to take over and have full control (if that’s what you wish); or if you are happy for us to keep working together we can take care of your website’s ongoing needs. We have different options to suit your requirements and budget. Below are some options, but make sure you contact us for a customised solution to meet your specific requirements. Make sure that you check out our FAQ page here. We have an OBSESSION with creating designs that engage your customers and also enhance the user experience of your site. Whether you are after a new website or you have an old outdated one that needs some attention, we are happy to help. In this day and age, a site that works on mobiles, tablets and PC’s is a necessity. 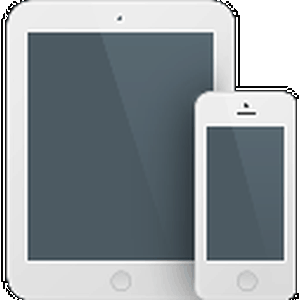 We will ensure your site works on all these devices.